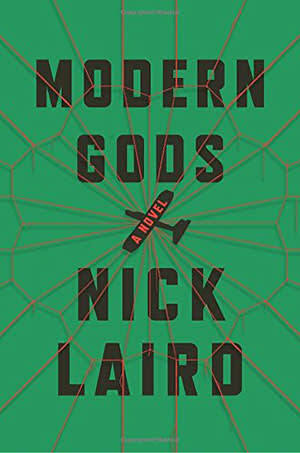 ‘Modern Gods’ is a relatively unheralded novel which finally came to my attention, and it proved to be outstanding on reading. Sometimes it doesn’t work for a poet to write fiction, but here it works perfectly. This is the most expressive meaningful novel I have read in a long time. The wording and the sentences are just exquisite and exact. Every sentence is well thought out to convey precisely what each person is thinking and feeling at that time, and each person is delightfully their own soul. Much of ‘Modern Gods’ is about the interactions and complications and logistics of the Donnelly family from a small town called Ballyglass in Ulster in Northern Ireland, written in such a way that I could easily relate to this cast of characters. Just as in any family the individual members have different traits and desires and locales even though they are related. There is the never married Liz who ventured far away from home to become an academic in New York and then there is the dutiful stay-at-home daughter Alison who has two little kids and who is marrying her second husband and then there is the younger son Spencer in his twenties who is carrying on his father’s real estate business. Nearly every sentence in ‘Modern Gods’ is that good. Liz is returning to her parents’ home in Ballyglass from New York on the occasion of her sister Alison’s second marriage to a solid local guy Stephen. Their parents are pleased to have the family all together again, and the wedding will be a joyous celebration. However in contrast to this warm family story,there are also in the early chapters short sections dramatically relating a mass Halloween shooting that took place at the Days End pub in Londonderry. After the wedding, Liz is headed off to New Guinea for the island of New Ulster to be the presenter for BBC for a documentary of a new religion which has started up among the native people there led by a native woman named Belef. Aren’t those the two basic human problems, we hurt others and we die? So not only is ‘Modern Gods’ a rich family story, it tackles the thorny issue of religion. It goes beyond just telling a story to having psychological and philosophical depth. Here’s an interesting fact. Novelist/poet Nick Laird is married to novelist Zadie Smith. But hey, I don’t agree about the function of religion. It’s not necessary to have religion to have ethics about not hurting people, and I would say that religion has contributed very little of value in that department anyway. As to dying. Death is not the problem. It’s the unpleasant business of dying beforehand, and I’d prefer people to keep their religion out of my options and choices about how to manage it. Then I believe you would like ‘Modern Gods’, because religion causes most of the problems in the novel. Of course in Northern Ireland it was Catholics vs Protestants, although apparently the two sides are getting along much better now. In New Guinea it’s the Christian missionaries who want to rule the roost and stir up most of the troubles for the native people. I would say that Nick Laird is quite skeptical of religion too. Nick has read at HomePlace and I’ve also read his poetry, but never his novels. I do have this book, so I’m glad to hear you enjoyed it. I’ll have to move it higher up the list. I’ll let you know how I get on with the fiction if you let me know how you get on with the poetry!